Customer Challenges. We have solutions. 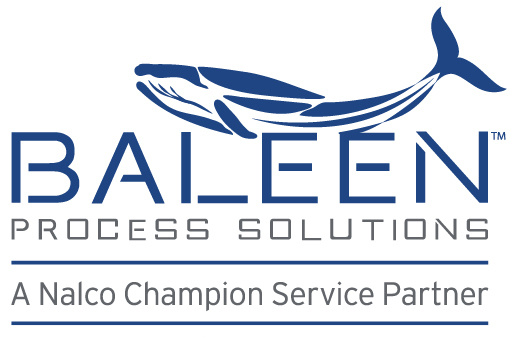 Baleen Process Solutions and Nalco Champion have partnered to create a comprehensive treatment program providing solutions for offshore water quality challenges. 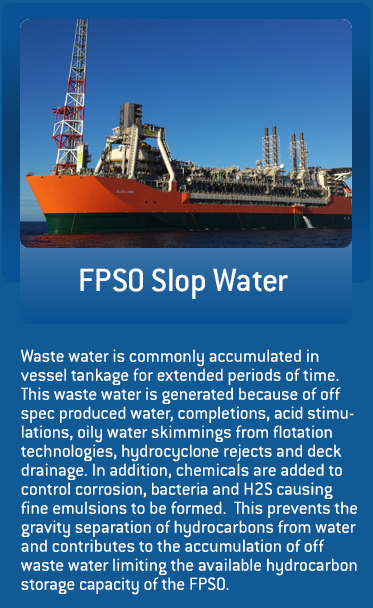 BPS provides faster and smaller tailored engineered solutions that address the oil and water quality challenges by using bulk separations, solids removal and KLEEN-FLUX (the next generation non-consumable membrane technology). The KLEEN-FLUX is a unique single layer membrane construction providing durability and excellent oil water separation. It separates virtually all undissolved constituents with excellent chemical and thermal stability. • Decommissioning of the permanent water treatment system forcing a production shut-in. • Fluid incompatibilities creating system upsets. 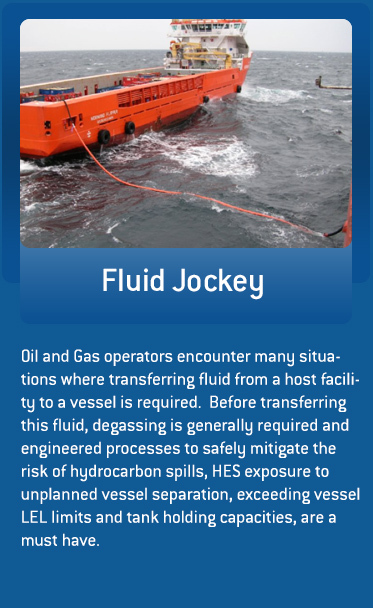 Oil wet solids are carried through permanent water treating system resulting in out of compliance overboard discharge. 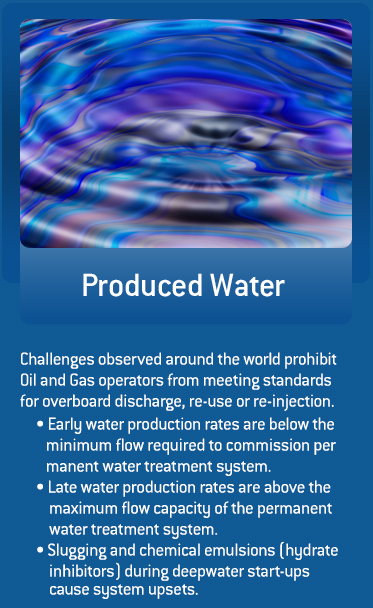 BPS has pioneered a unique solution that addresses a wide variety of produced water challenges. 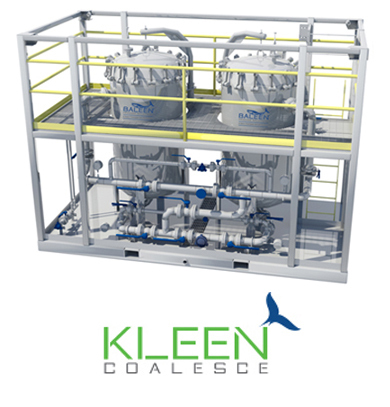 The two-step process consists of KLEEN-CM (a high rate re-generable compressible filtration technology) for removing solids in the presence of hydrocarbon and KLEEN-COALESCE technology that removes oil by enhanced coalescing. 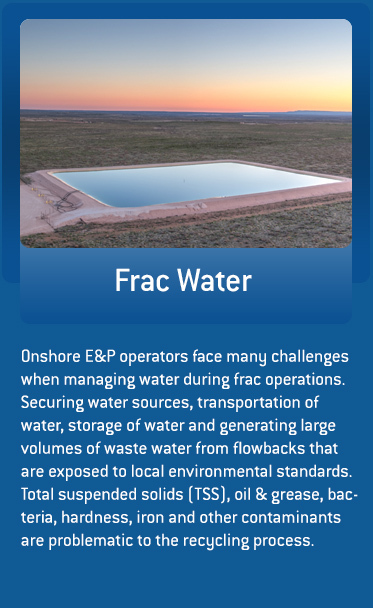 A variety of processes and technologies are offered to meet frac water recycling needs. A chemical process is used to reduce oil & grease, bacteria, hardness, iron and other contaminants. For TSS reduction our KLEEN-CM (a high rate re-generable compressible filtration media) is deployed. When TDS reduction is required our KLEEN-FLUX (next generation non-consumable membrane technology) is used for organic removal prior to a reverse osmosis system. A combination of these systems allows for the recycling of frac water, minimizing cost and HES exposure. 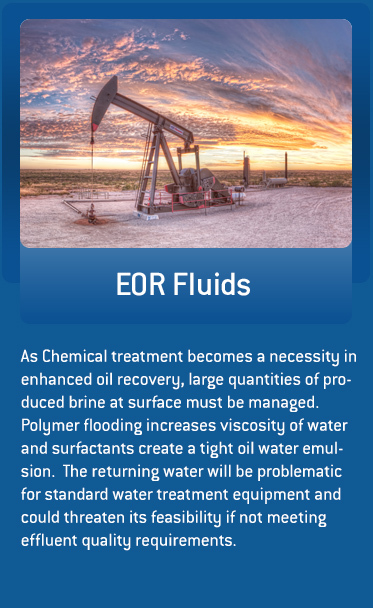 BPS provides faster and smaller tailored engineered solutions that address the oil and water quality challenges by using the KLEEN-FLUX (our next generation non-consumable membrane technology). 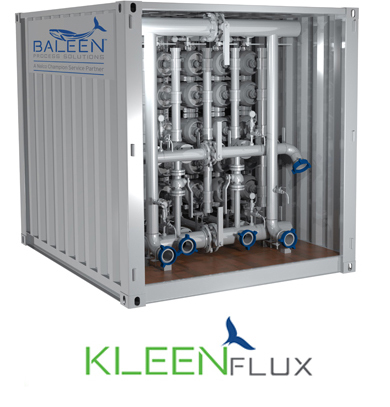 The KLEEN-FLUX is of unique single layer construction providing durability and excellent oil water separation. It separates virtually all undissolved constituents with excellent chemical and thermal stability. 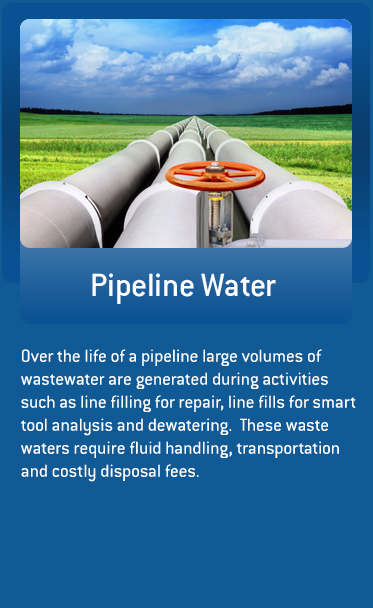 The treatment of wastewater for local discharge is an economically superior alternative. 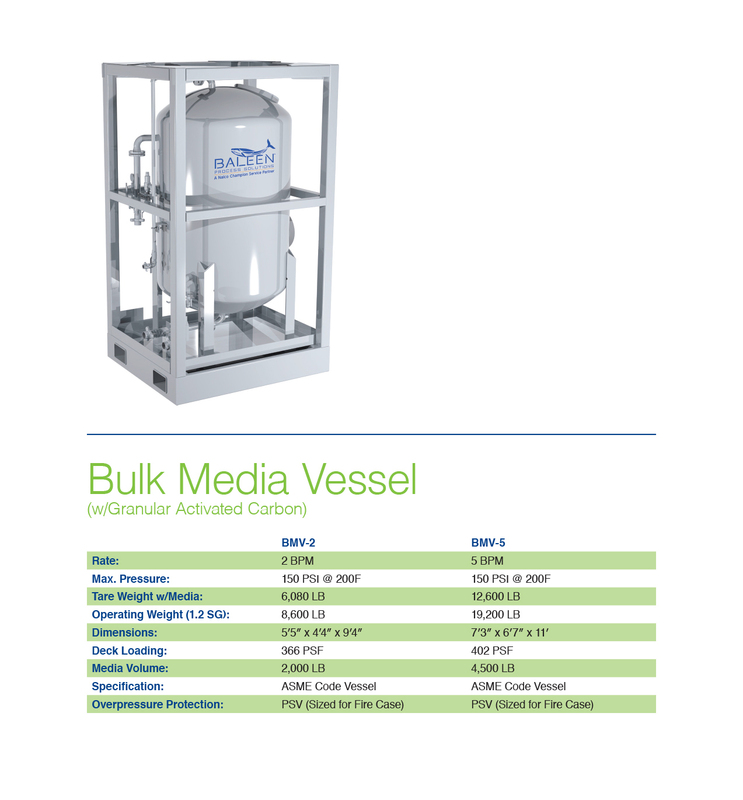 On-site treatment of the waste stream reduces fluid handling, transportation and costly disposal. To accommodate high flow rates, a two-stage process incorporates KLEEN-CM (re-generable compressible filtration media) for removing solids in the presence of hydrocarbon and granular activated carbon to meeting the discharge criteria for both onshore and offshore applications. 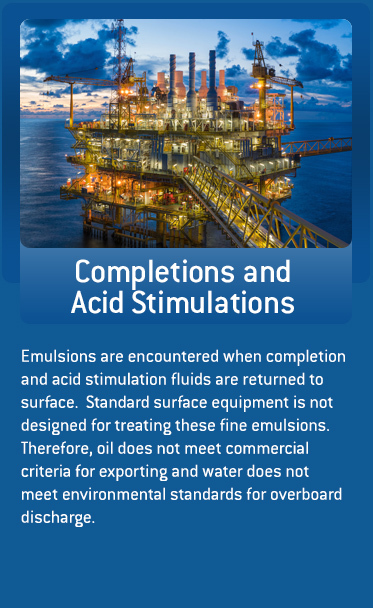 A chemical process is used to reduce scales, bacteria, algae, iron sulfide and oil & grease as well as other contaminants. For TSS reduction a KLEEN-CM (high rate re-generable compressible filtration media) is deployed. 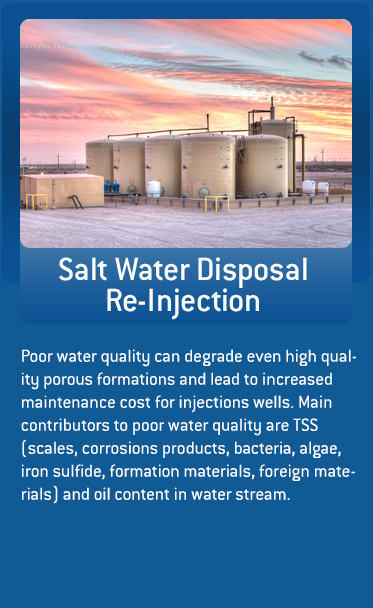 A combination of these systems allows for the re-injections of salt water while minimizing cost and HES exposure. BPS uses a variety of technologies for meeting water discharge requirements when standard water treatment equipment fails to perform. 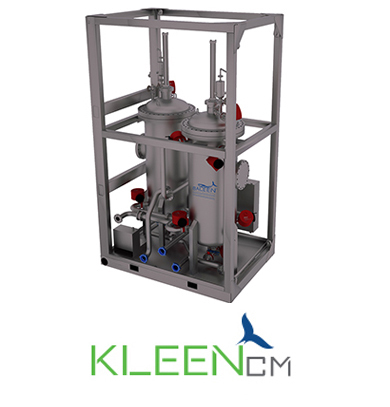 Our KLEEN-CM (a high rate re-generable compressible filtration media) to remove solids, KLEEN-COALESCE media that removes oil by enhanced coalescing and KLEEN-FLUX (our next generation non-consumable technology) provide a turn-key solution ensuring regulatory requirements are met. Our engineering, project management and operations team provides process solutions to eliminate the hazards associated with this activity. The experience in hazard identification, process design and practical field experience all coupled with an HES mindset ensure flawless project execution. 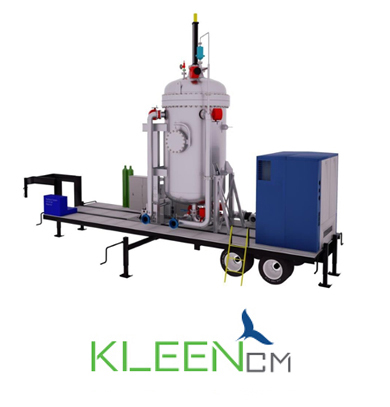 Our portfolio of Kleen Technology has been developed on a platform of smaller, faster, sustainable and low-to-no consumable equipment.